‘And so you touch this limit, something happens and you suddenly can go a little bit further. With your mind power, your determination, your instinct, and the experience as well, you can fly very high.’ Ayrton Senna is arguably the best racing driver Formula 1 has ever had. But who are these icons that have inspired such devotion and hero worship? As a spectator I find that it’s a combination of passion, skill and sheer charismatic determination to succeed that draws me into this sport. When it comes to racing I’m quite keen to nip over to the Emerald Isle to visit relatives (but really it’s an excuse to visit Mondello Park!) A quick ferry trip and then a visit to car hire Ireland to pick up a powerful motor and then imagine myself as a famous racing driver – always easier when you’re away from home. This season’s man-and-machine tussles have hit the headlines for less than glowing reasons: the debacle over where the first race will be held and then more recently with the UK’s own Jensen Button failing to finish in Silverstone due to his tyre not being fitted correctly. Lewis Hamilton’s return to the spotlight was for his reckless driving not his race-winning skills. However, this is all part of the accoutrement’s of the F1 world. The excitement, the personalities and the dizzying highs of a sport awash with so much money and the exotic lifestyles the drivers lead that you can’t help but feel you want to be part of it. So who are my racing icons? Well, I’ve selected five of Formula 1’s most inspirational figures but I know you could list a whole lot more. Naturally I’m a little bit biased towards the UK. Few drivers had been more popular and successful as Brazilian, Ayrton Senna, when a tragic crash in Imola claimed his life at the age of 34. By this age he had already won the F1 championship an unprecedented three times. A documentary film about Senna’s life is enjoying a limited cinema release from June 3rd of this year. Read more Ayrton Senna quotes. German born, Schumacher, is a legend in his own lifetime. While his recent seasons following his return to the sport haven’t been outstanding, the 11 years he spent with Ferrari have marked him out as one of the best drivers of all time. He has the honour of having won the most championships, race victories, fastest laps, pole positions, points scored and most races won in a single season than any other driver – ever. In 2002 he became the only F1 driver to finish with a podium spot for every single race in a season. Schumacher’s idol was Senna, and it was in 2004 that he broke down in tears during a press conference when he had secured his 41st win – equalling his hero’s record. Moments such as these had a tremendous humanising effect on a man who, at the time, was seen as more than a little daunting. 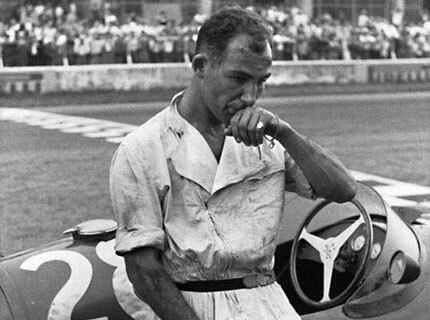 Sir Stirling Moss is, in my view and many others, the best racing driver never to win the F1 championship. 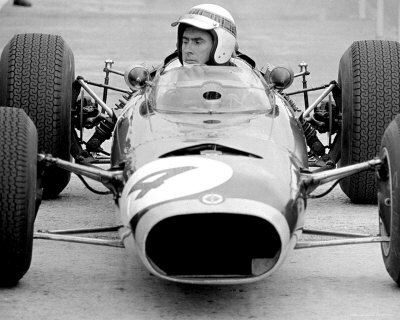 Until 1962 when a crash left him in a coma and forced his retirement, Moss had won a staggering 212 races out of 529. It was way back in 1955 when Moss won his first Formula 1 race and he had the pride of another first: he became the first Briton to win the Silverstone Grand Prix. For me, it was Stirling Moss’s ability to succeed in a slew of different races that made him even more worthy as a racing legend. It seemed that all you had to do was to put the man behind a wheel of any vehicle and he would cross the finishing line first. Endurance races, rallies and stints in touring cars and classic racing; you name it, Stirling would excel in it. Stewart is the only Scotsman to have won three F1 championships. Nicknamed, The Flying Scot, Stewart is as well known today as an advocate of safety improvements. During his heyday, the odds of a F1 driver surviving 5 years racing was only 66%, something unheard of now. At the time, “We were racing at circuits where there were no crash barriers in front of the pits, and fuel was lying about in churns in the pit lane. A car could easily crash into the pits at any time. It was ridiculous”. Nigel Mansell is as famous for his moustache as his racing career but it is his racing that has made him a household name. He has the distinction of being the Britain’s most successful Formula 1 racing driver, surpassing previous holder Sir Stirling Moss in 1991. His popularity has remained strong to this day and he regularly appears in commercials for moneysupermarket.com where his now-moustache-free face gets a fake ’tash stuck on. Guest blogger, Greg Coltman, has a fake ’tash in the wardrobe for special occasions. He writes prolifically for motoring blogs and is interested in anything to do with innovations in the industry and green themes. Previous post: Market Samurai Review & Huge Discount !